You Are Here: CushTravel > Asia > East Asia > Taiwan > Nantou > Xitou: What Is It Exactly? Found on Phoenix Hill in Lugu Village and set among tall mountains on its sides, Xitou is actually an experimental forest of the National Taiwan University. It is a unique resort that is teeming with cedars, red spruces, and Chamaecuparis obtuse, just to mention a few of the many tree species in the area. Most parts within this location have been intentionally designed and cultivated for a purpose; except for a small portion that is a naturally existing forest. The resort is near the Beishi River (“Xitou” means “beginning of a river”). The area is cool and moist throughout the year, and receiving plenty of rain. In the summer, the resort is often visited by a number of young couples and honeymooners. The place is very romantic, well kept and very inviting. Attractions you will see inside this “engineered” resort include the following: 46-meter-tall redwood trees, a youth activity center, bird observation area, gingko forest, and the University Pond, which is the star of the show. You will definitely enjoy relaxing by the pond and taking pictures of the scenic surrounding. If you are a bird lover, there are about 700 birds in the area to watch, including River Blacks, Redhead Warblers, Shao-Yen Thrush and White-ear Thrush. Other facilities here are hotels, restaurants, camping areas and cabins that are all built with wood. The idea here is to allow university students, as well as tourists and other visitors, to understand nature while enjoying it. This place, in a way, is like a classroom set in Nature. You will definitely learn a lot about Life as you are dwarfed beside ancient cedar, fir, gingko and cypress trees within the Forest Recreation Area. There are also different species of bamboo. This is the perfect classroom to learn about mid-low-elevation birds, plants, trees and Nature in general. The best months to observe the birds are April and May. A visit to Xitou is definitely worth it, not only for the many unique attractions inside but also the surrounding tourist attractions. Nearby are the Sun Link Sea Forest Recreation Area, Sun Moon Lake, Shanlin River, Lalu Island, Meihe Garden, Wenwu Tempe, Dazhu Lake, Ita Thao, Ci-en Pagoda, Maolan Mountain, Formosa Aboriginal Culture Village, and many others. Taiwan should definitely make it to your list of Asian destinations to visit before leaving the planet. 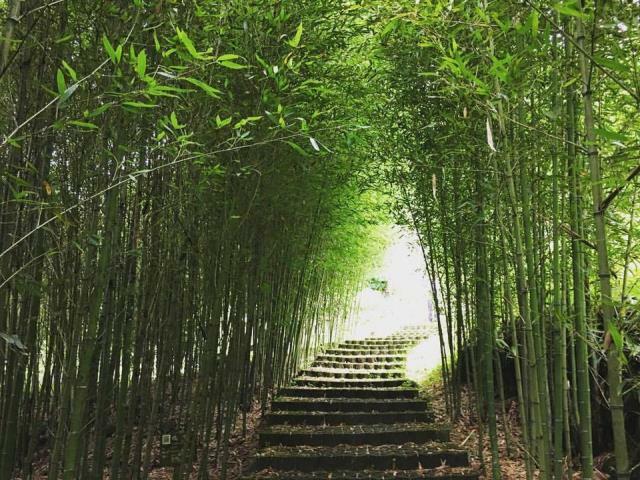 And when in Taiwan, swing by Xitou in Nantou County for a true experience of nature at its best.